The Culinary Skills program will provide you with the foundation for an exciting career in the food service industry. Sharpen your skills in classic and contemporary à la carte cuisine, baking and pastry arts, flavour and cooking methods, understanding ingredients, food service principles, and safety and sanitation, while also developing essential communication and computer application skills. You will accomplish all of this through a combination of activity-based classroom instruction and practical application in our state-of-the-art culinary and pastry labs, and Bistro ‘67, our award-winning restaurant, where you will gain practical experience serving customers from the community. The Culinary Skills program is designed to prepare you for a career in a wide variety of food-service industry settings. In addition, related business management studies and general education courses round out the program. You will learn through a combination of activity-based classroom instruction and practical application in our culinary, pastry and restaurant labs. You will also gain practical experience through our student-run, open-to-the-public restaurant and a field placement at a school approved industry property. Upon successful completion of this program, you may qualify for advanced standing in Year 2 of Durham College’s Culinary Management program. The Culinary Skills program is offered at the Whitby campus, home of the college’s new W. Galen Weston Centre for Food. This incredible new learning centre provides access to a full-service green certified teaching restaurant and lounge; a demonstration theatre; and state-of-the-art labs, classrooms and meeting spaces, all designed to offer you the best possible learning experience. Students in this program will benefit from working and learning in Bistro ’67, a full-service, green-certified teaching and learning restaurant operated by staff and students. DC’s Centre for Food Shows Off Kitchen Hacks for Daily Planet’s Seriously?! Your learning experience will be complemented by an 80-hour field placement opportunity in the culinary industry. 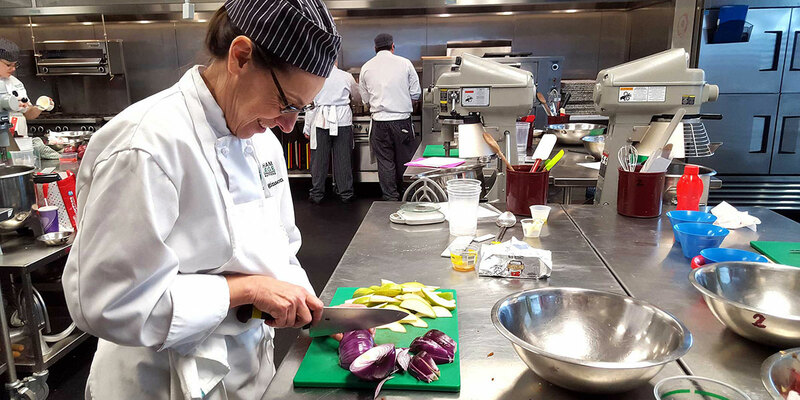 Students work at restaurants, hotels, long-term care homes, banquet and golf course facilities and more, applying their skills from the classroom on the job. From student-focused special events, to employment in Bistro ’67, to special projects, there are countless opportunities for students to further their learning beyond the labs. For more information, please visit our pathways page.